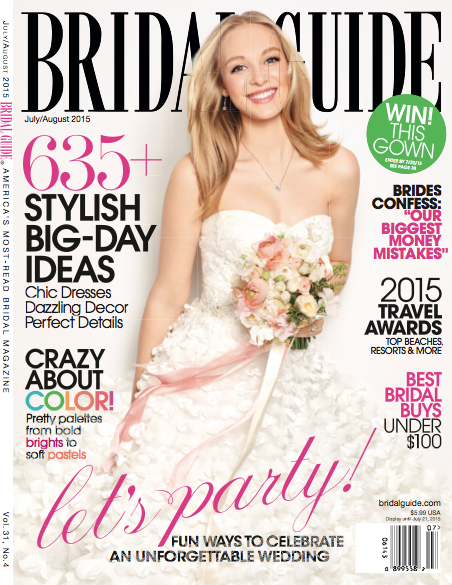 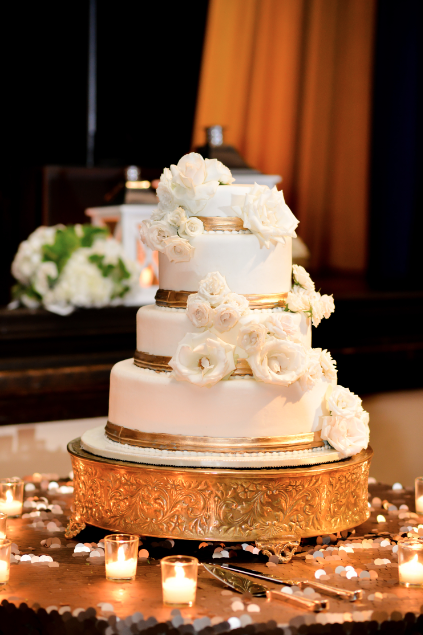 We are so excited to share our feature in the July 2015 Bridal Insider Magazine! 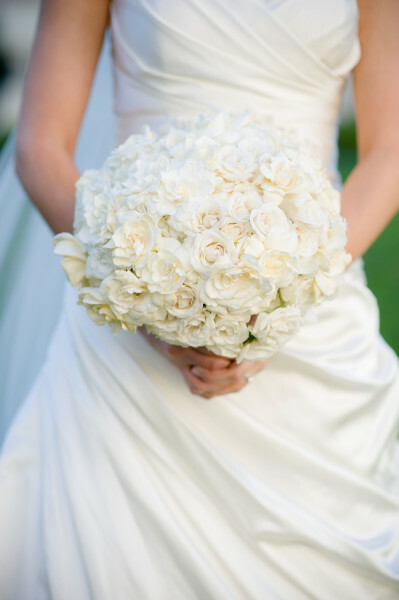 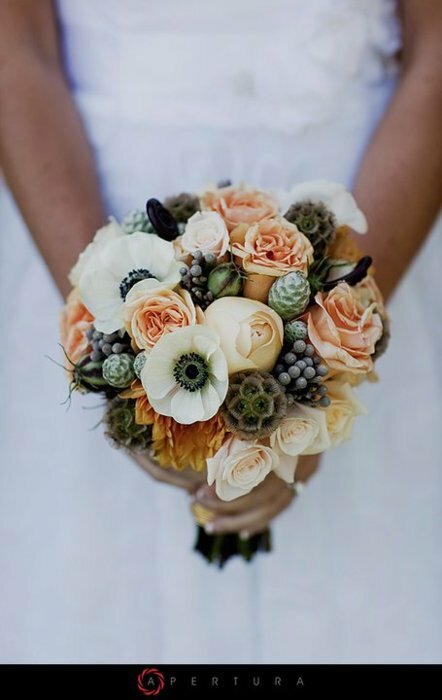 Thank you to Luna Photography for taking this lovely shot of our bridal bouquet! 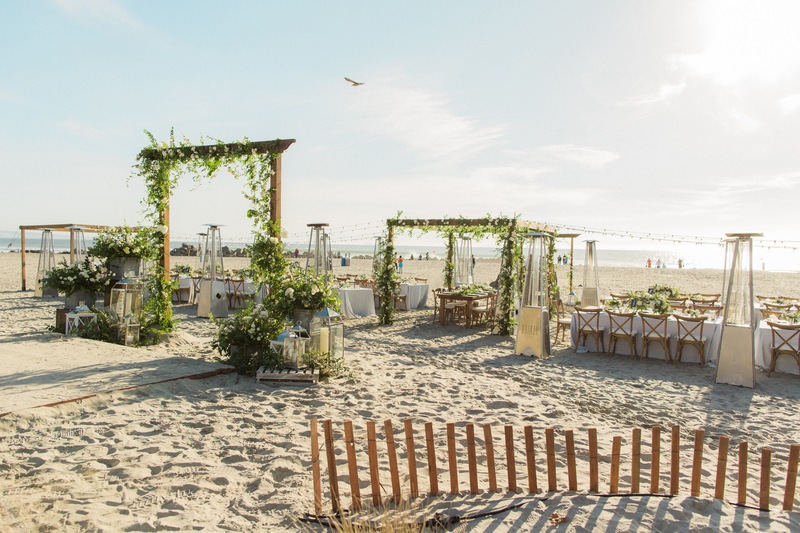 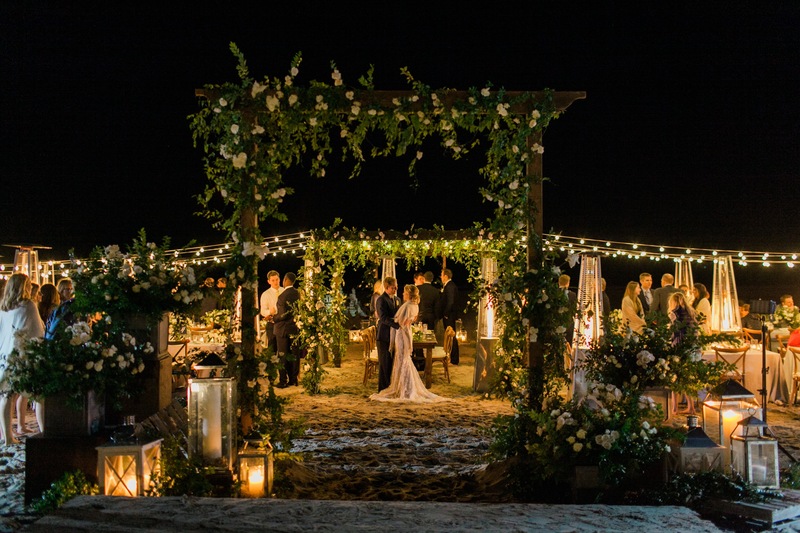 Planning a wedding from afar can be a difficult and even frightening process without the proper team of professionals to help guide the way. 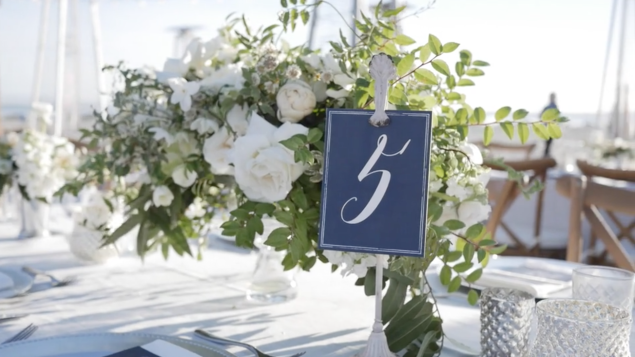 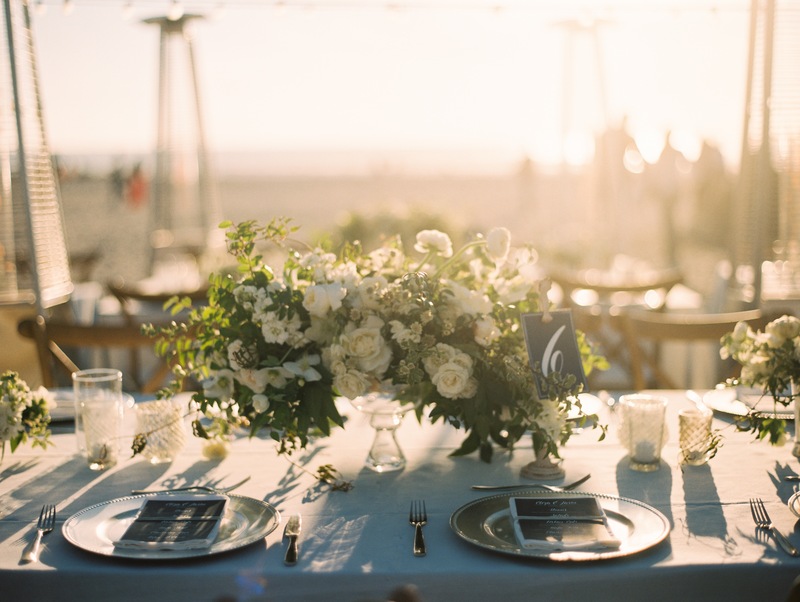 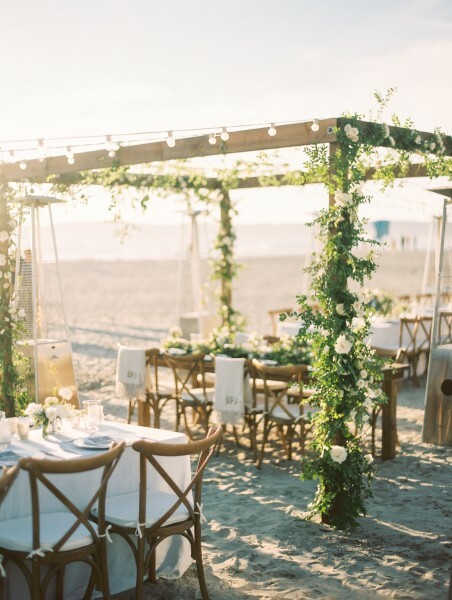 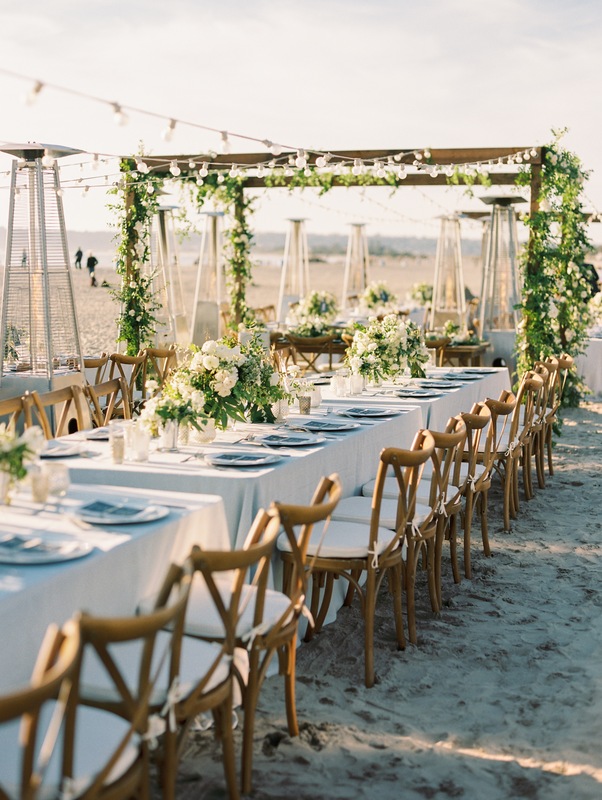 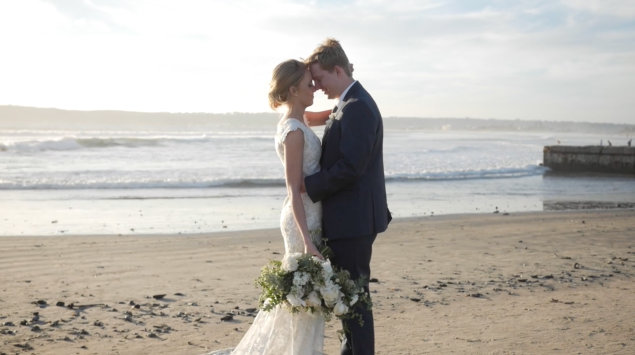 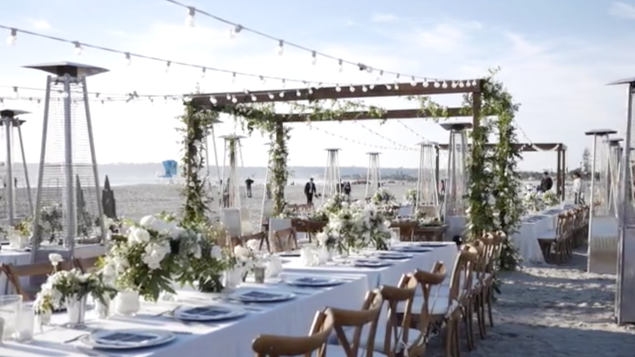 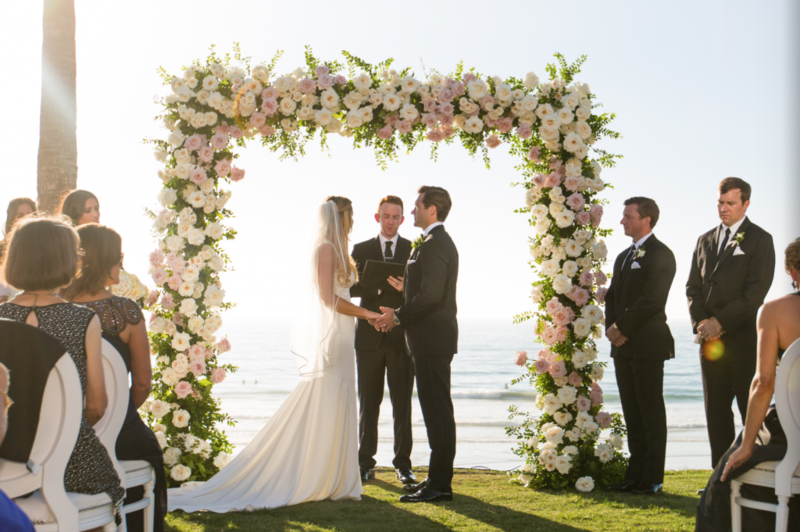 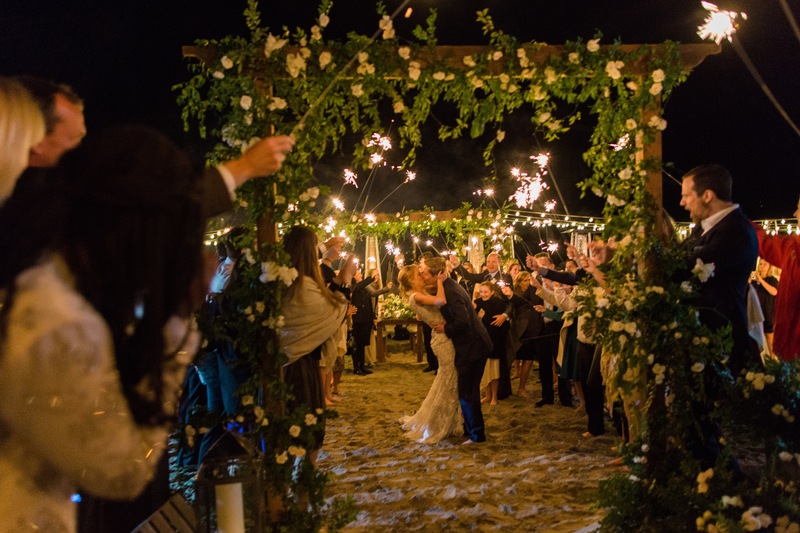 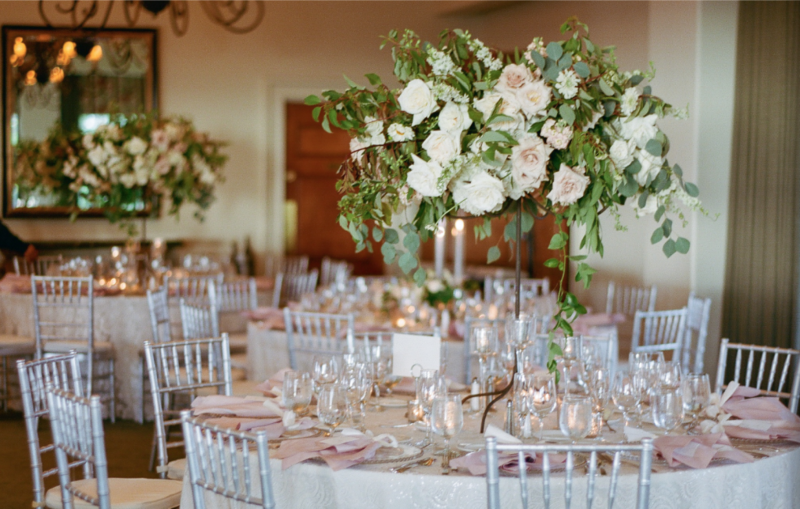 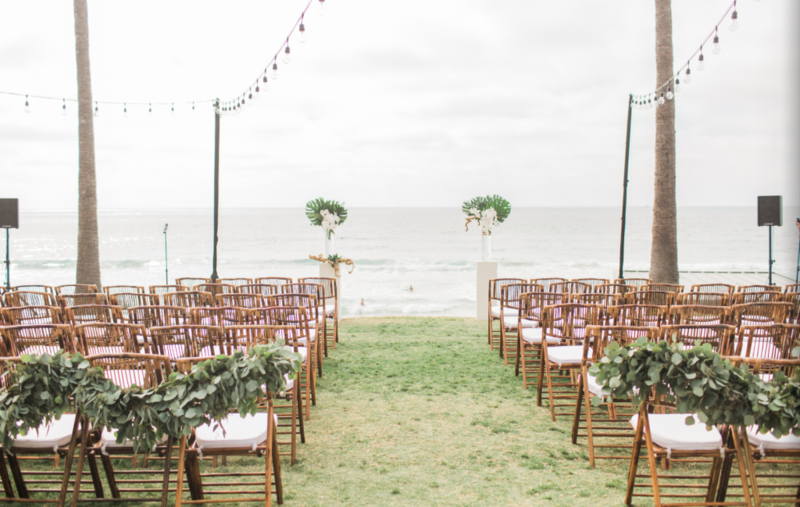 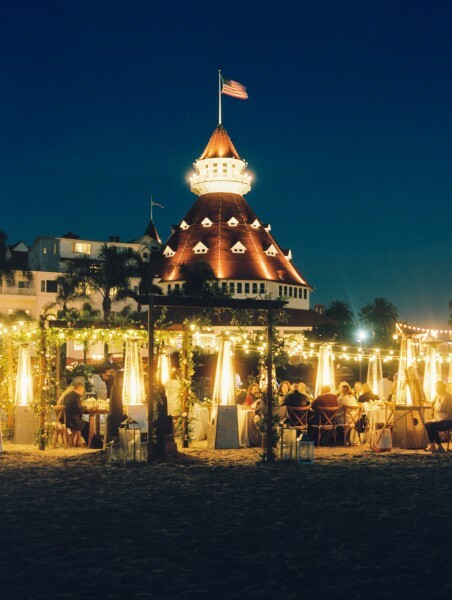 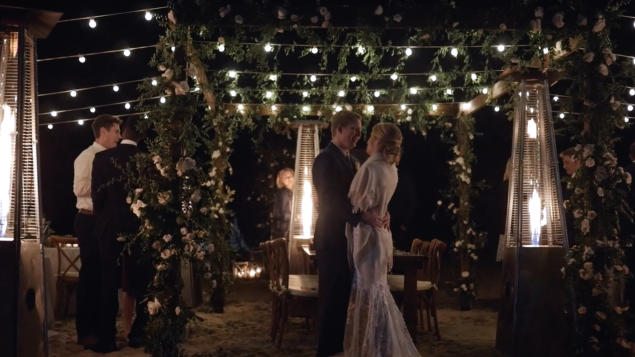 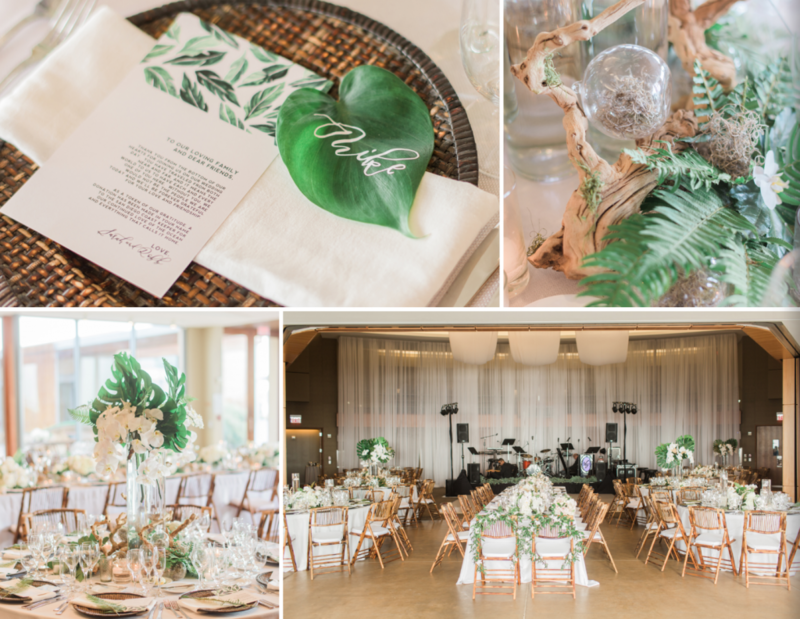 Lindsay and Steven came to us via the fabulous Cynthia Zatkin, of Cynthia Zatkin Events and they truly could not have asked to be in the hands of a more knowledgeable and caring coordinator/planner. 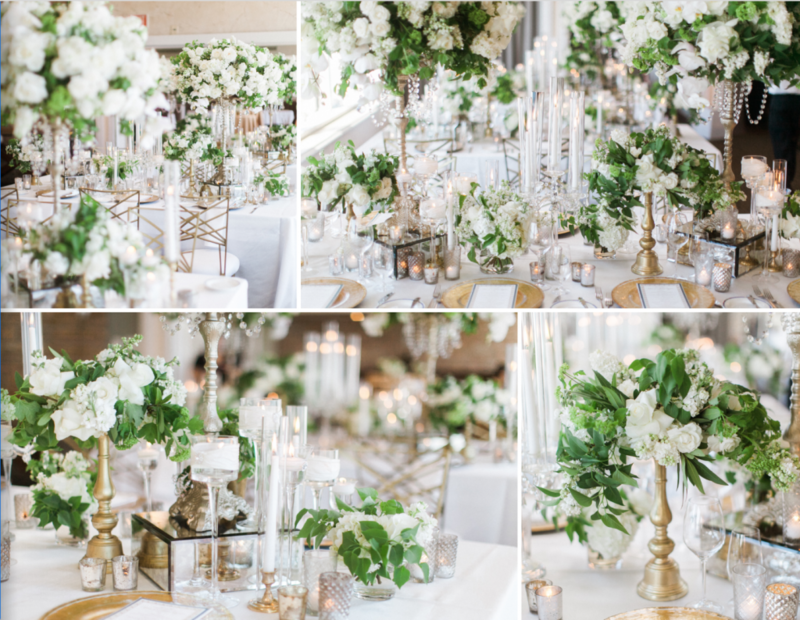 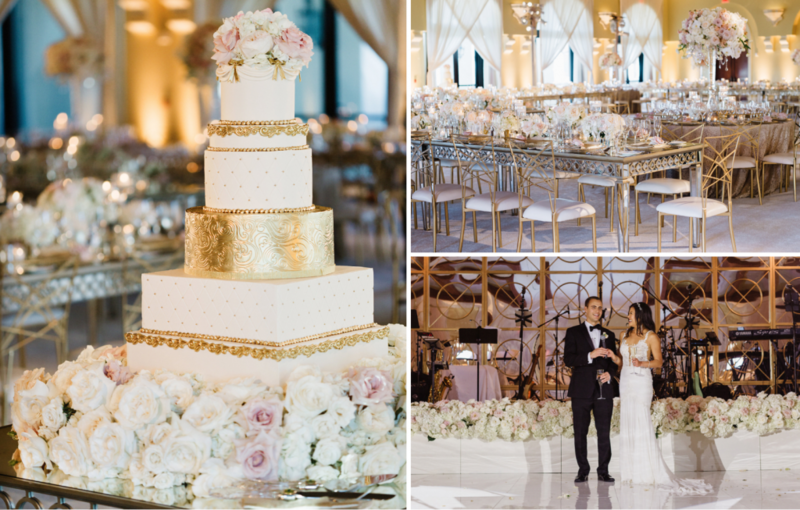 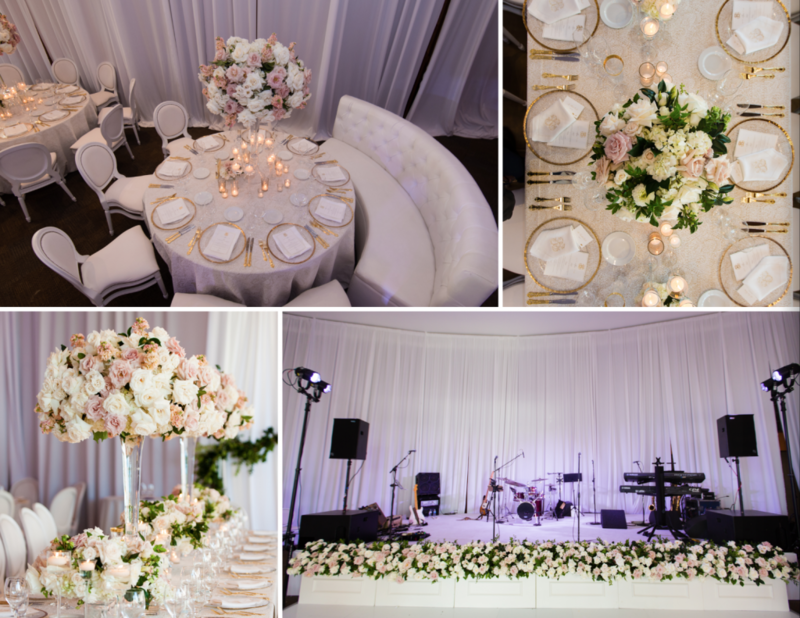 Together with Cynthia, we created a fantastically sophisticated affair, dripping in creamy ivories, rich golds and glittering accents. 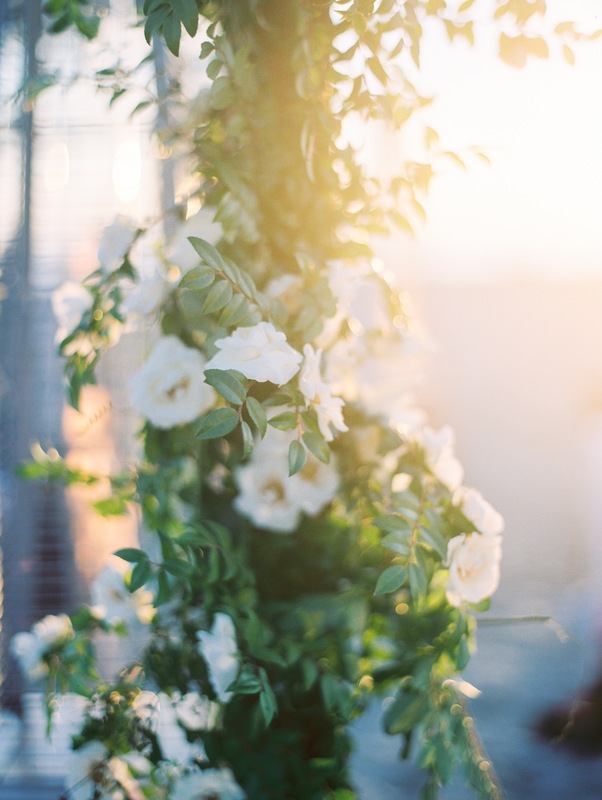 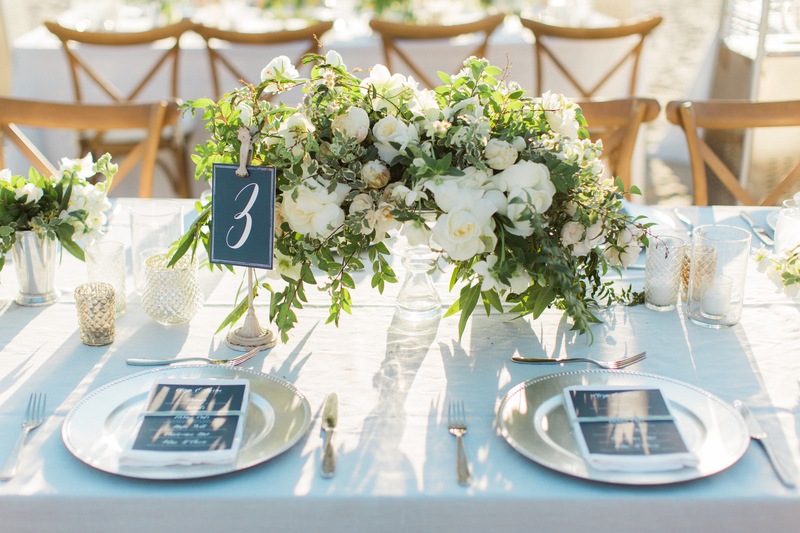 L chose to carry a fragrant, all ivory bouquet of textured gardenias, spray roses, hydrangea, various roses and other elements, her bridesmaids wore her accent color, teal. 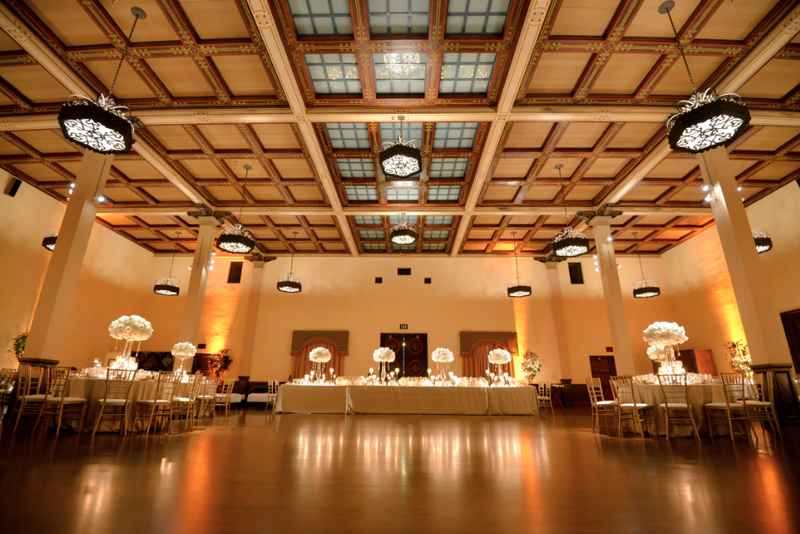 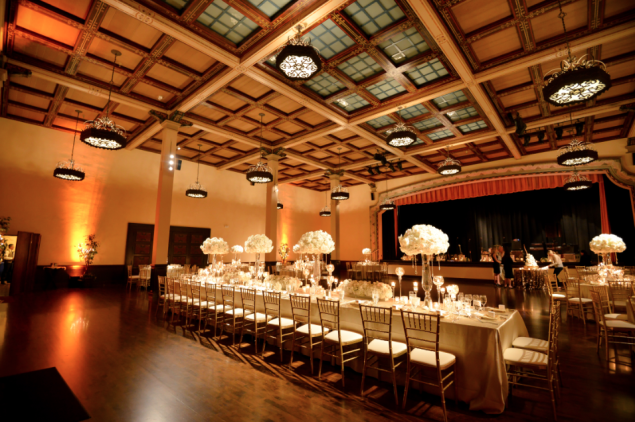 Set against the perfect backdrop of the Prado Ballroom at Balboa Park, the reception was true timeless glamour realized. 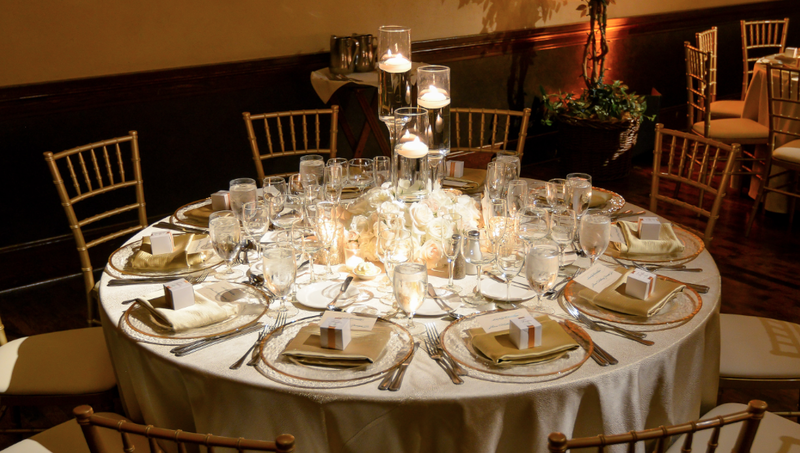 Textured gold La Tavola linens and napkins were paired with gold rimmed charger plates, glasses and our pairing of both mercury glass and clear glass candles. 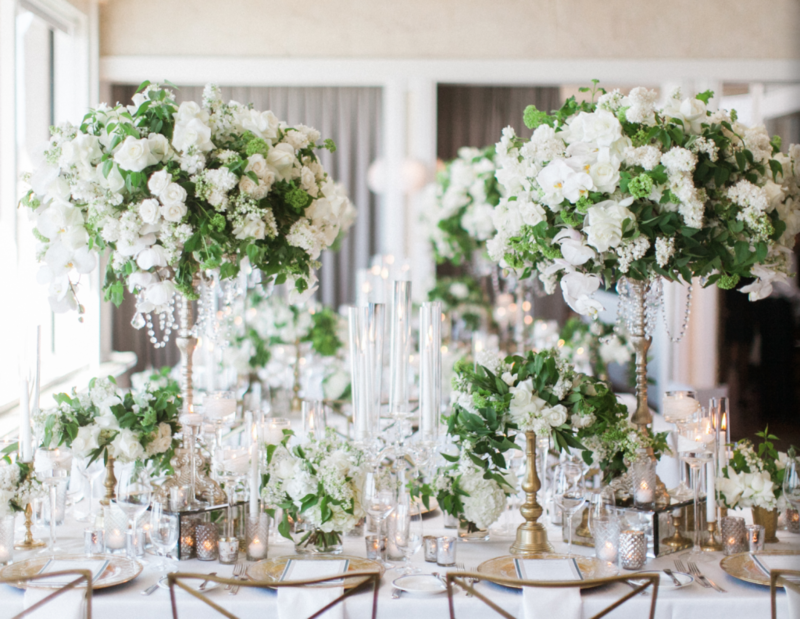 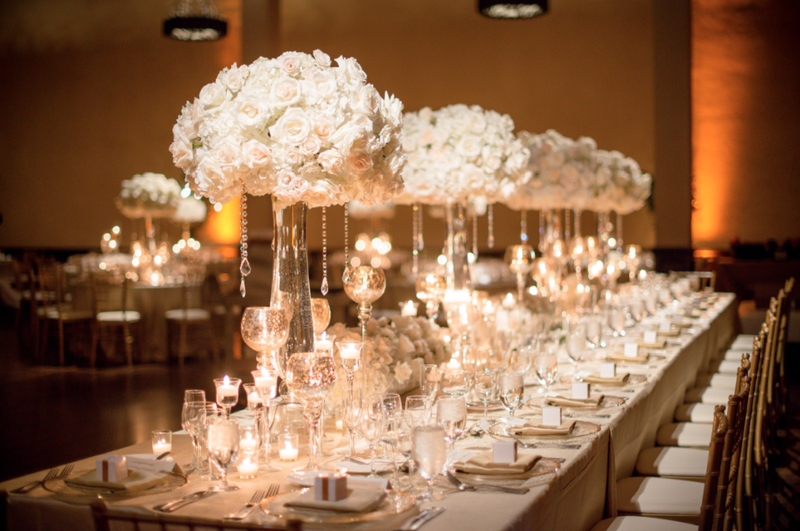 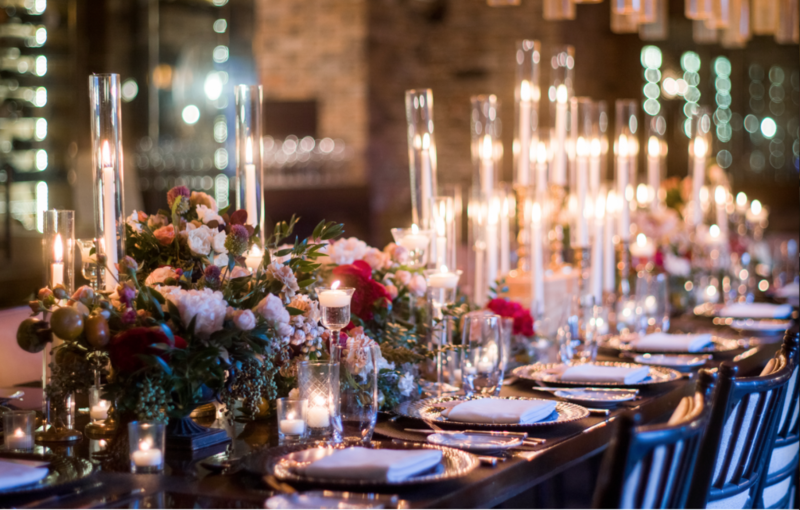 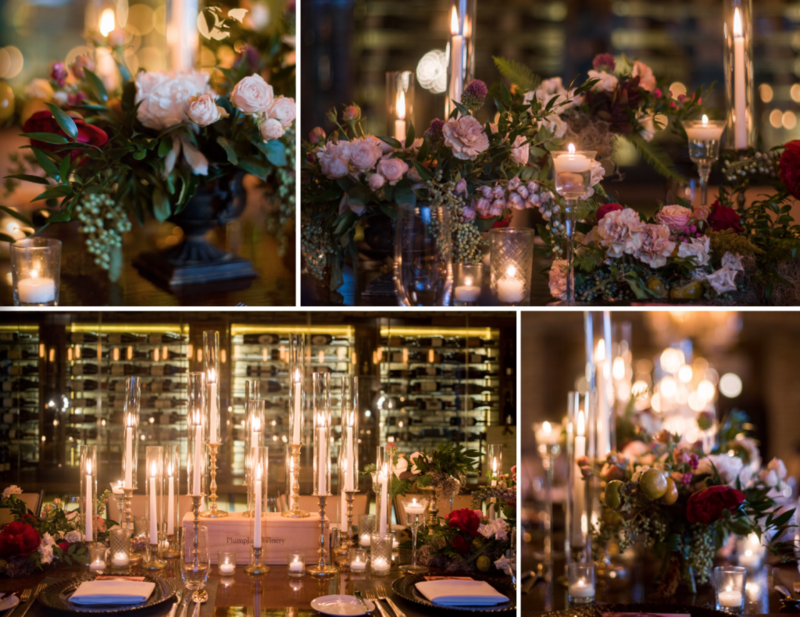 We created two different centerpiece styles, with some being tall atop shaped glass stands with Swarovski crystal accents and some short to the table with tall candle holders rising from within the lush, floral centerpiece. 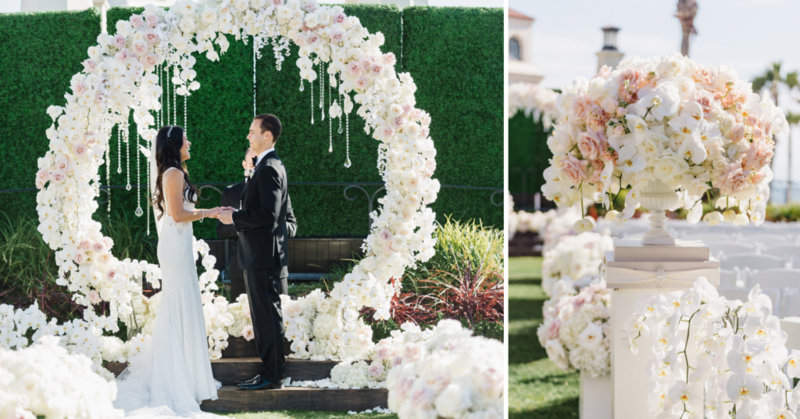 A traditional ceremony was held at the stunning Immaculata at USD. 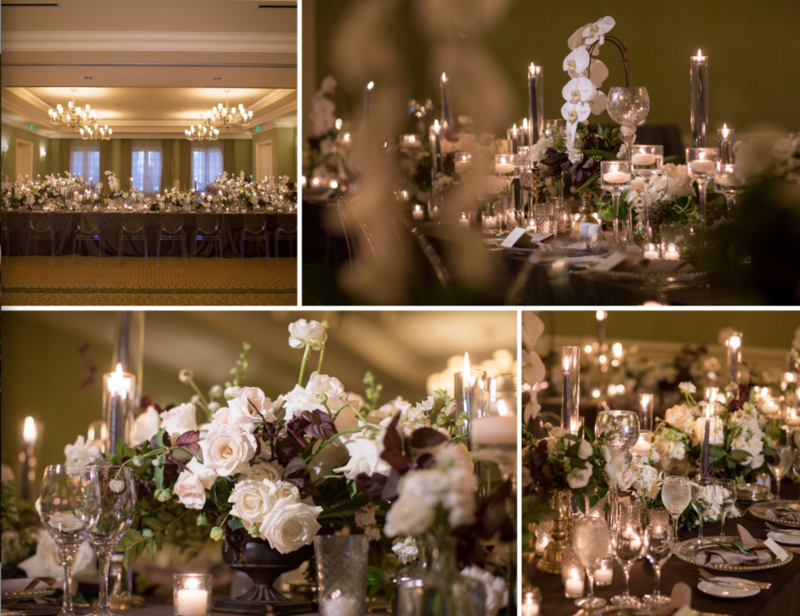 HUGE thank you to the fabulous photographers at Cole Joseph Photography! 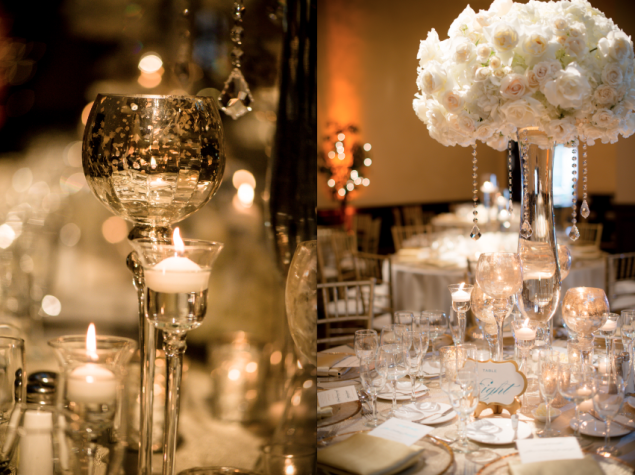 Huge THANK YOU to Tim Otto Photography for this FABULOUS image! 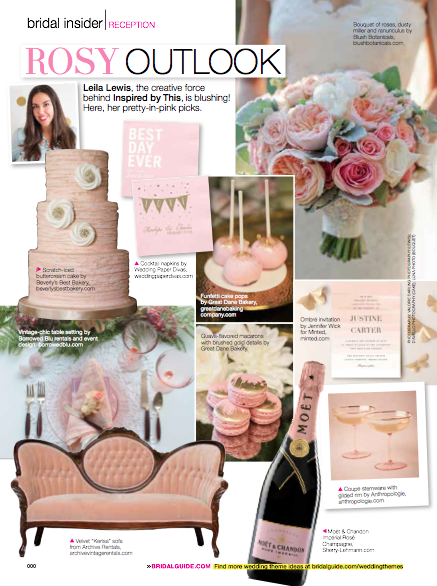 It is not every day you get to be on the cover of a trend setting wedding magazine and when we got the news, we nearly flipped! 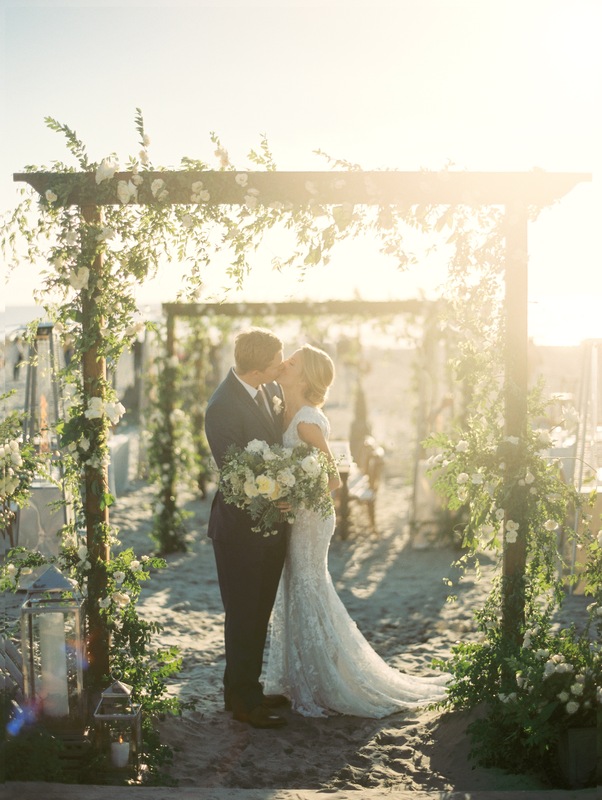 It was so much fun working with Aaron Feldman, owner of True Photography, on this beautiful shot. 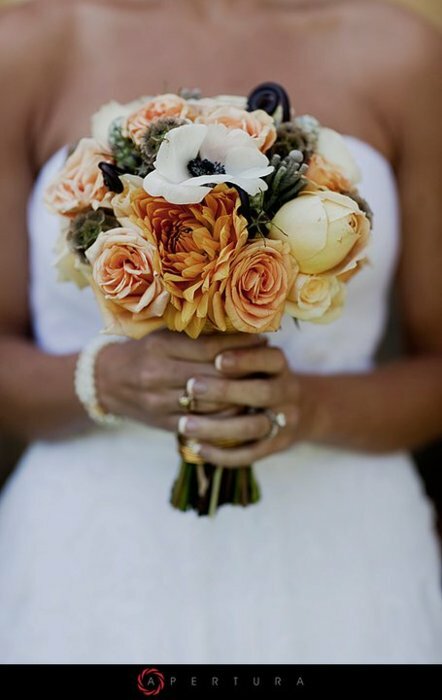 A textured, colorful, beach inspired bouquet full of fuchsia, orange, blue and plenty of organic pods and accents! 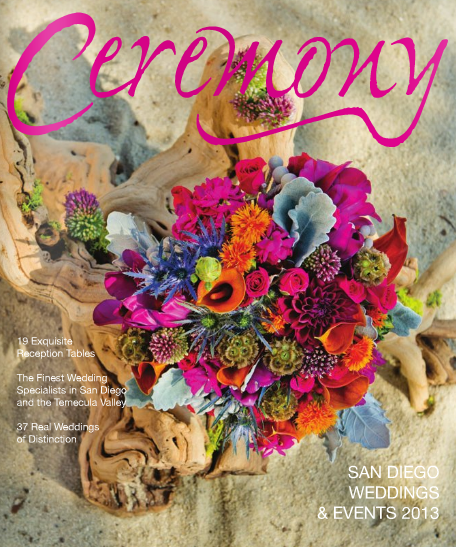 Thanks CEREMONY MAGAZINE!!! 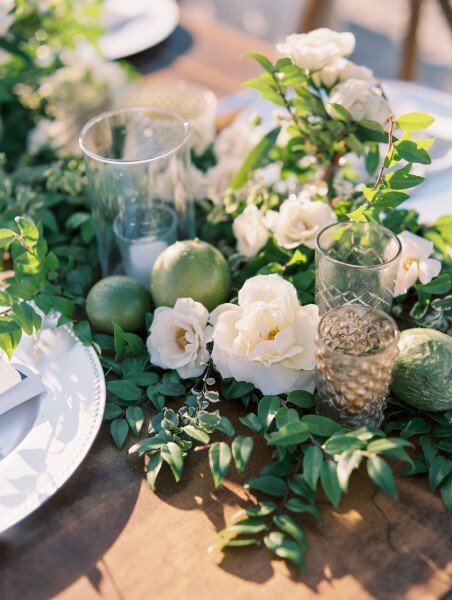 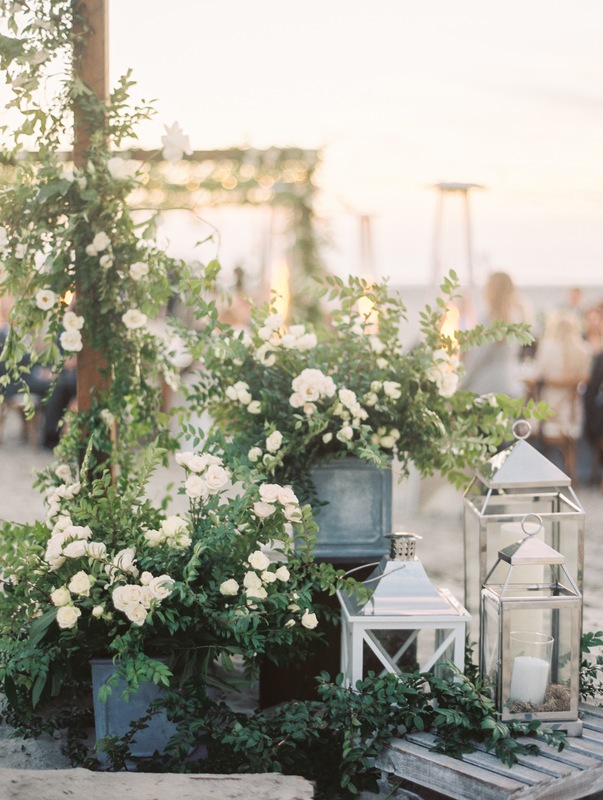 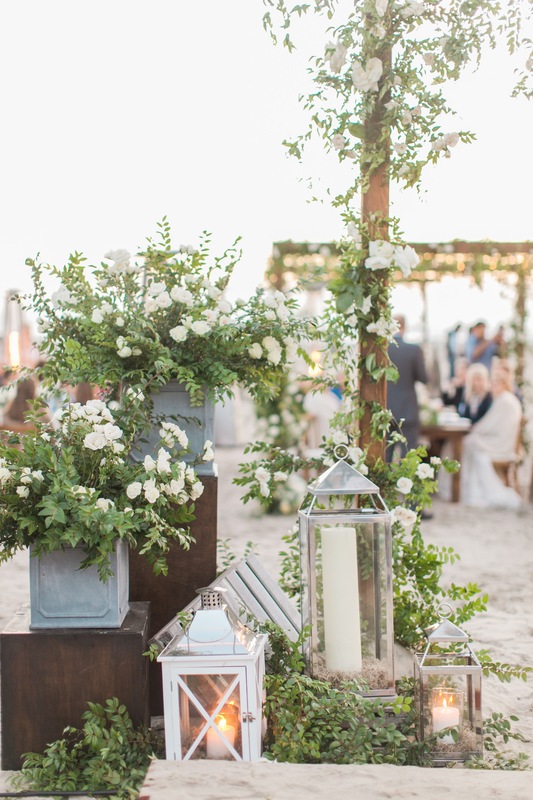 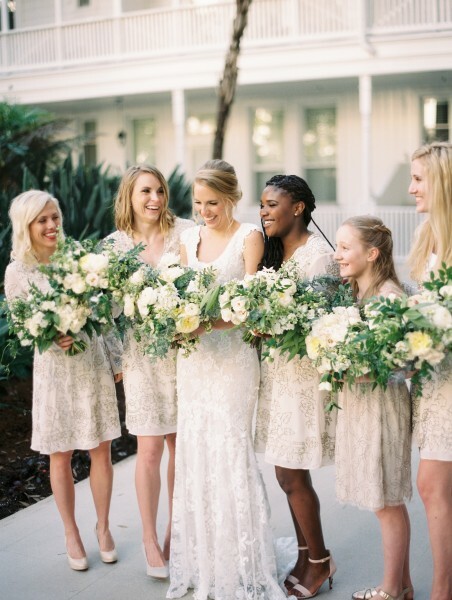 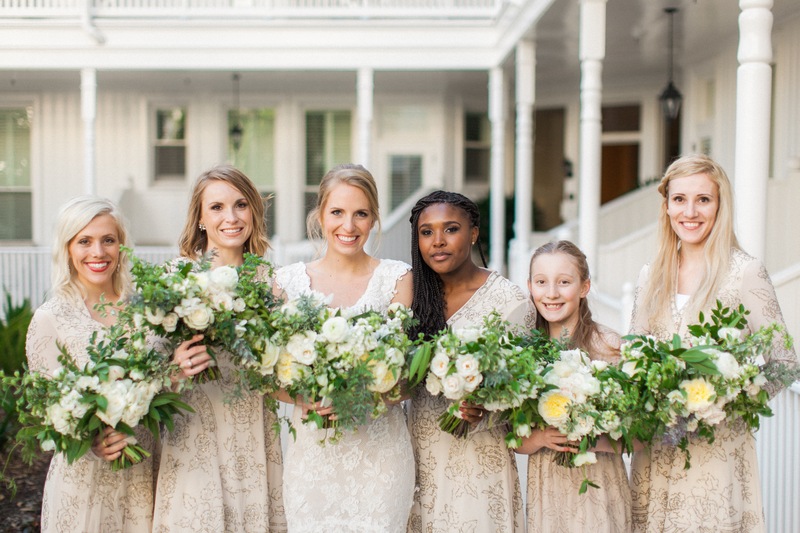 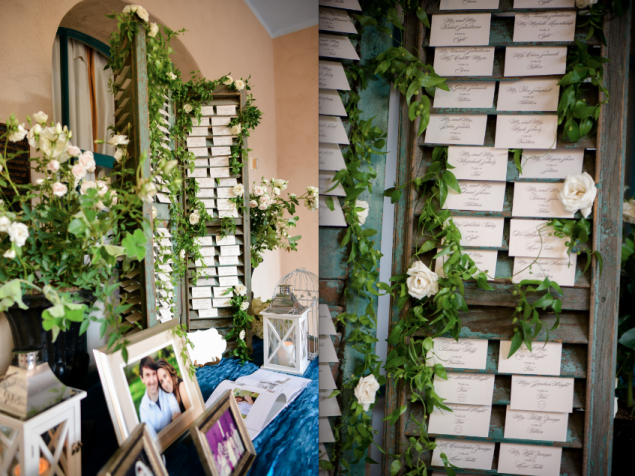 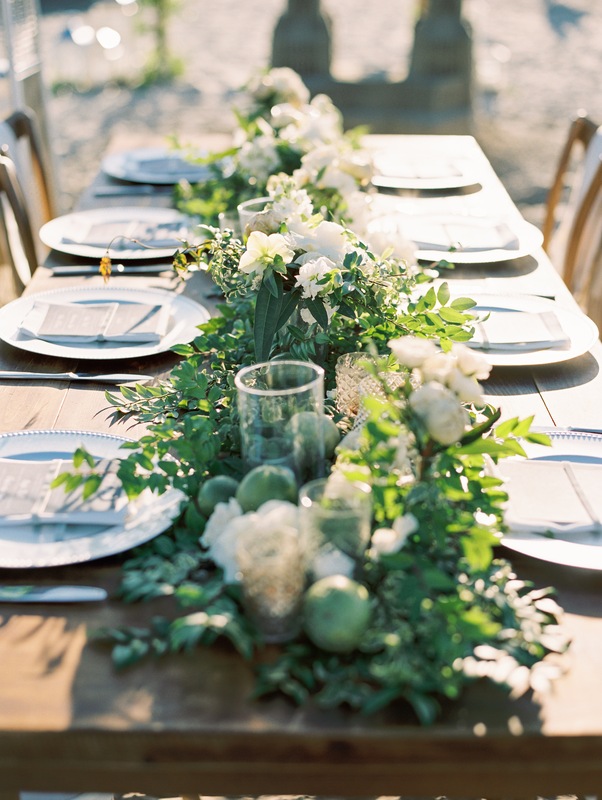 The anthropologie-inspired wedding has definitely proven to be a big trend in 2010. 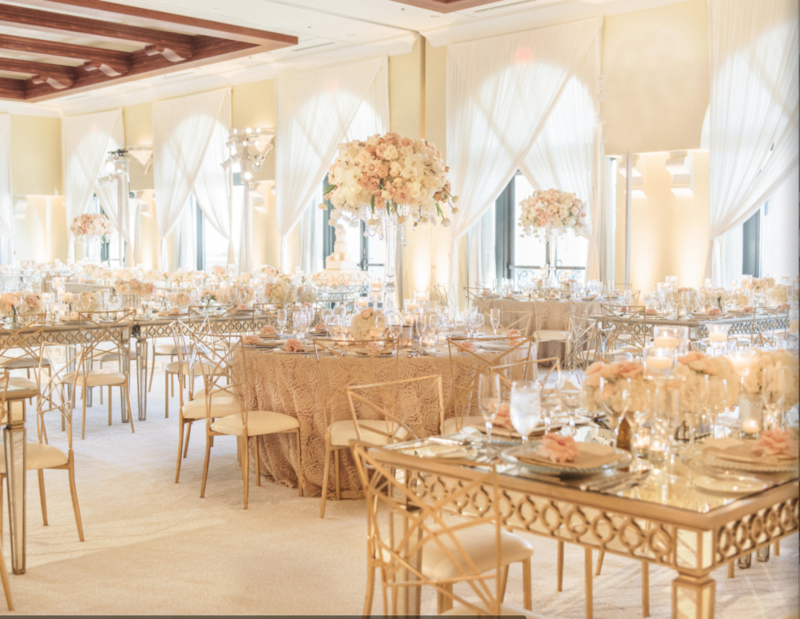 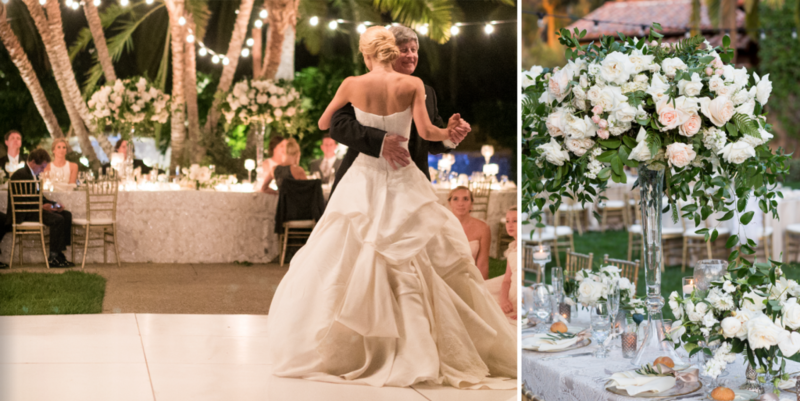 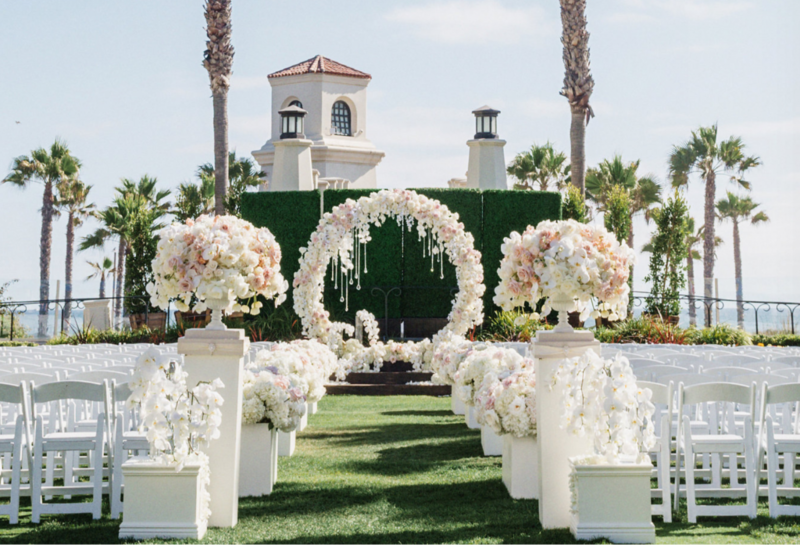 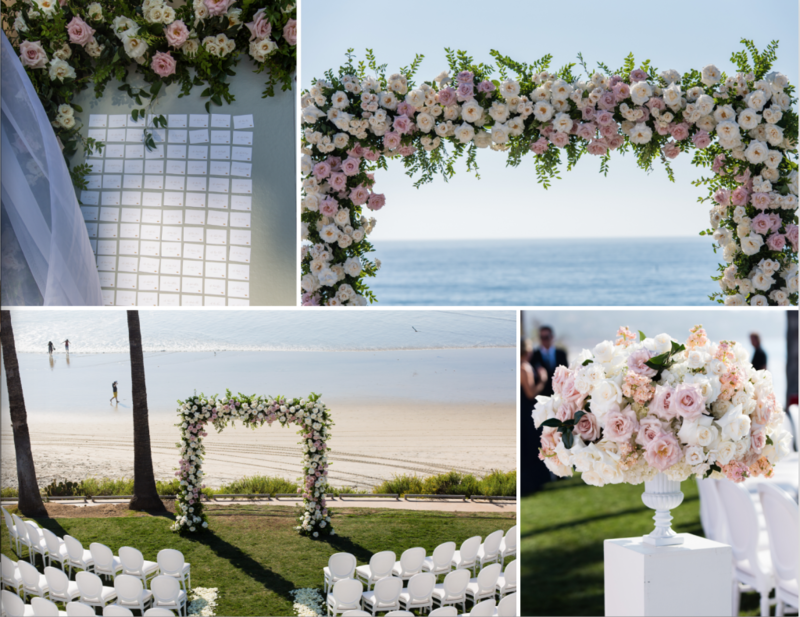 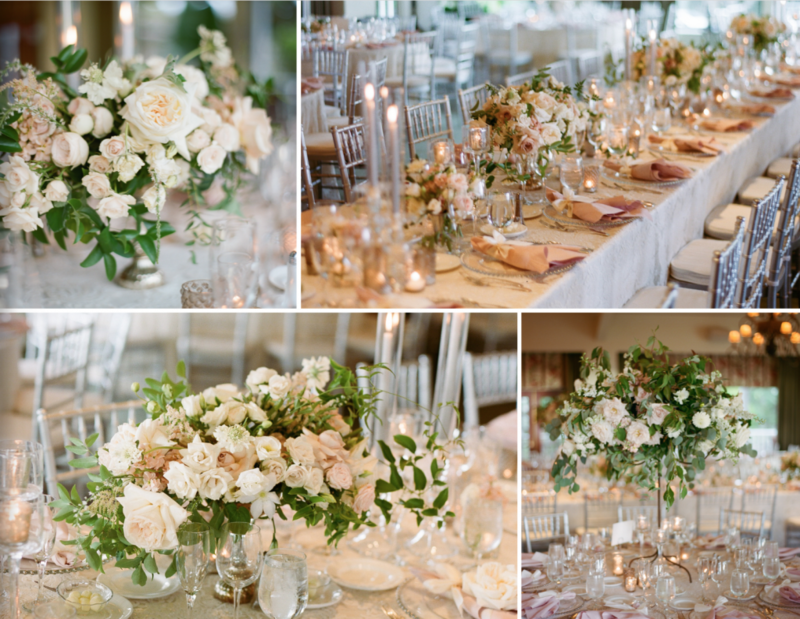 Our gorgeous bride and groom, Randa & Ethan, loved the shabby chic fad and chose a coral, light orange, and ivory color scheme for their wedding at the Inn at Rancho Santa Fe. 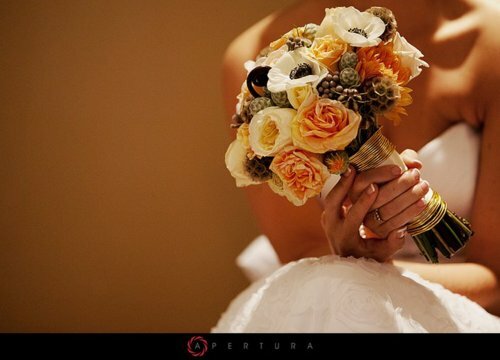 Randa stressed that she wanted a lot of colorful, romantic texture in her bouquet (pictured below). 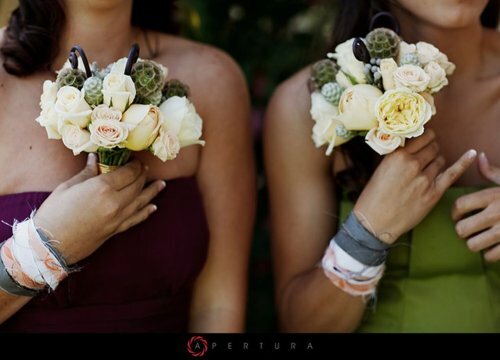 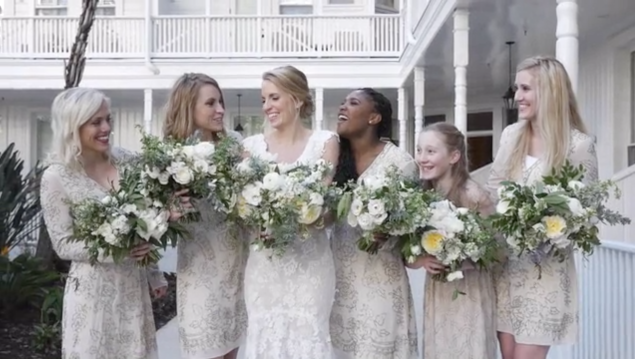 The bridesmaids carried fun textured ivory bouquets (shown below). 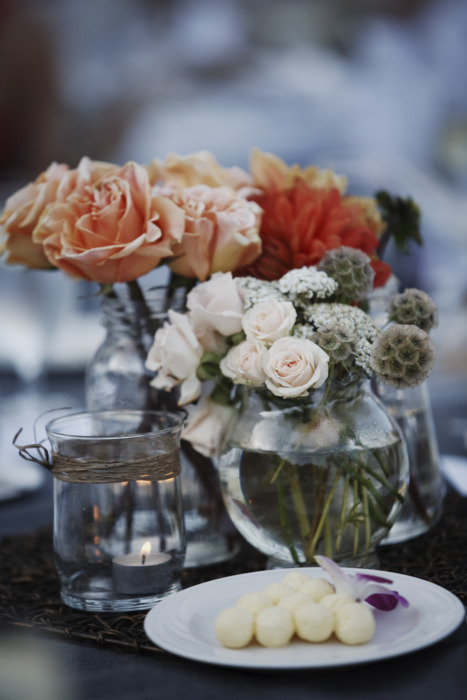 We used many different types of pods along with dahlias, garden roses, a variety of standard and spray roses, silver brunia, scabiosa pods, and fiddlehead ferns. 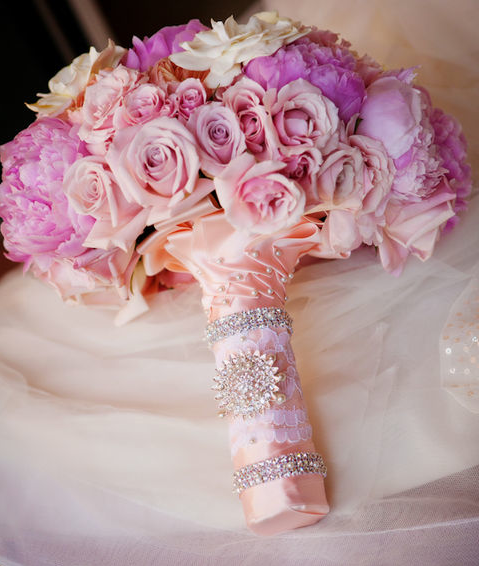 The bouquets were uniquely finished in one of Blush’s signature metal wire accented handles. 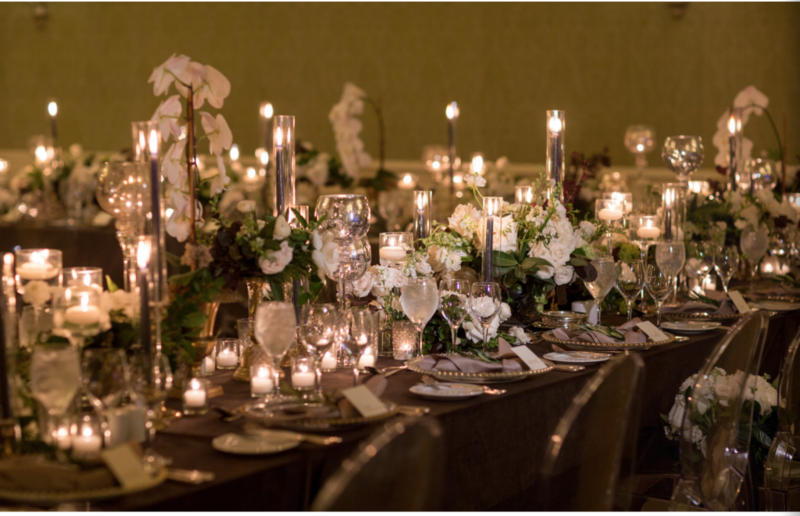 Centerpieces were simple and very “do it yourself” made from an eclectic grouping of coral and ivory blooms with various pods and organic accents. 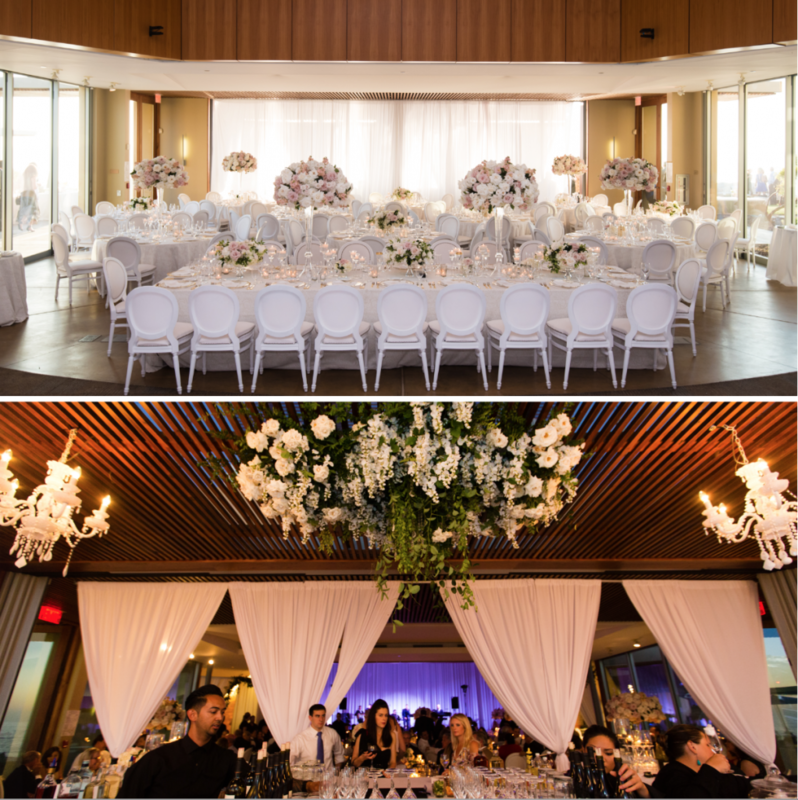 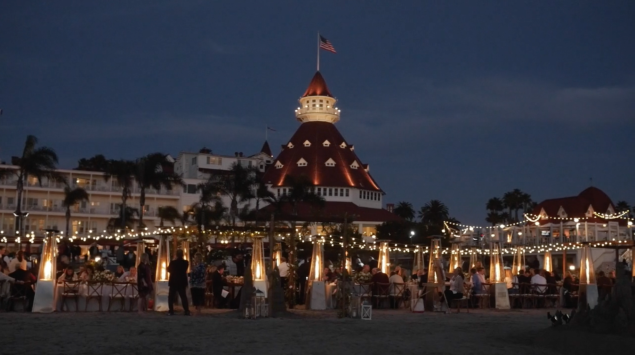 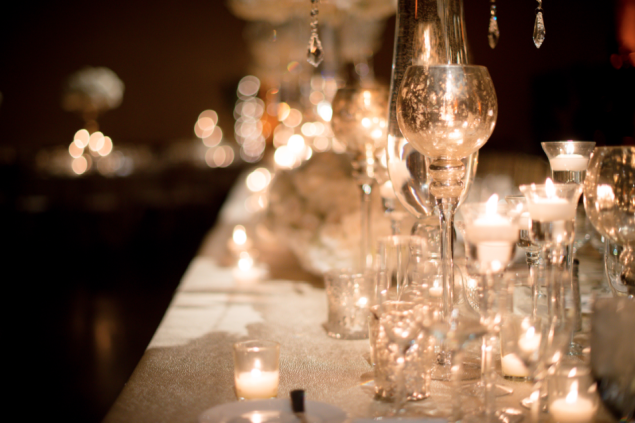 The event was beautifully photographed by Erwin Darmali of Apertura Photography. Check out the Style Me Pretty feature by clicking here! !